What better way to mark and celebrate some of the key points in a lifetime than with a lasting legacy of trees and woodland, an eco-friendly and unique present. 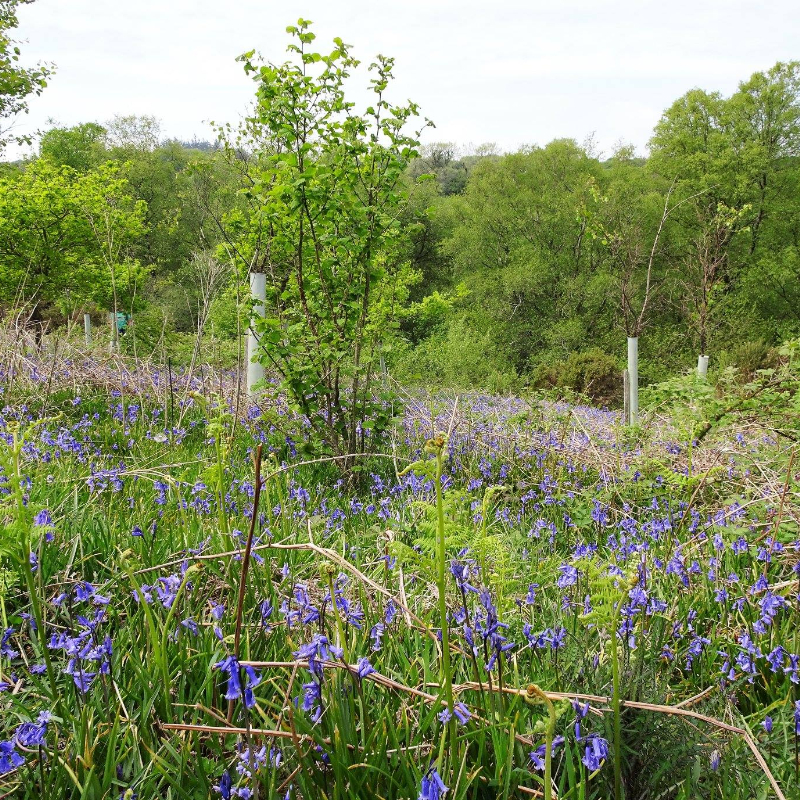 Every year our volunteers plant thousands of native trees around Dartmoor and South Devon. We can dedicate a single tree, a group or even a small woodland. £100 for a group of 20 trees and a certificate. Please contact us using this Tree Dedication form to order a personalised certificate. You can pay, either by sending a cheque or using our Payment Page to pay via PayPal. You can indicate the wording you would like us to print on the certificate, together with the name of the recipient. We cannot be specific about the site on which dedicated trees will be planted until the season starts in November. However you can find out the date of planting and the site by emailing us in October. The planting takes place as part of our regular Sunday volunteer workdays and it is possible for you to take part in the day if you wish. Each dedicated tree is planted with your individual message but it is not labelled and cannot be identified. Moor Trees woodlands are mostly planted on private land and there may not be future public access to the trees. The dedicated trees become part of the woodland as a whole, helping to create new habitat for wildlife and permanent conservation woodland. What message would you like on the certificate? Please supply an address for us to send the certificate. Thank you for submitting your request for a tree dedication. Please now complete the process by paying securely via PayPal below. Please note you do not need a PayPal account. If you would rather pay via credit card this option is available during the payment process. Or send a cheque made payable to Moor Trees, to Adam Owen at The Old School Centre, Totnes Road, South Brent, TQ10 9BP.